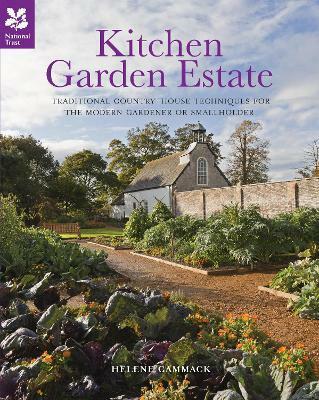 Inspiration for the modern gardener or smallholder from Britain's great country estate and their kitchens gardens. This practical guide gives a fascinating glimpse over the kitchen garden wall and into the orchards, vegetable beds, fishponds, vineyards and brewhouses through the centuries. For anyone wishing to grow their own and become more self-sufficient, there is much to learn from traditional gardening techniques, whether you have an urban allotment or a balcony. Britain's great estates and country house gardens offer a wealth of inspiration to the modern gardener. From traditional walled kitchen gardens and their - sometimes surprising - fruit and vegetables, to keeping bees, chickens or even livestock, tried and tested methods have been used in kitchen garden estates since medieval times and have much to teach anyone who wishes to make their own outdoor space a model of self-sufficiency. Covering fruit and vegetables, herbs, orchards, beekeeping, fish ponds, dovecotes and poultry, dairy and the farmyard, the deer park and game, hops and vineyards, there is something for everyone, whether you have acres of land, an allotment or are simply growing herbs on your windowsill. Helene Gammack is an MA graduate in Garden History, with a particular interest in self-sufficient estates. She has a life-long interest in gardens and a thorough knowledge of practical horticulture, having worked as sole gardener in a renowned plantsman's garden for ten years. She has worked as a research assistant for the National Trust for the last two years.